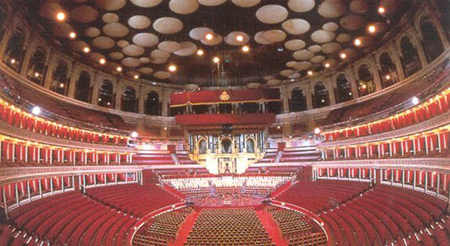 A private box at the Royal Albert Hall is up for sale – for a staggering £550,000. The five-seat box sits on the second tier on the eastern side of the auditorium and is the only remaining box in the hall to feature its original timber veneer and mirrored panels. It is being advertised by Harrods Estates as a ”perfect gift for a loved one” and comes with an 865 year lease. The box will set back the wealthy buyer £550,000 – the same as three Ferrari 458s or a three-bedroom property in upmarket Wimbledon. And on top of the wallet-busting price-tag, each seat incurs an annual service charge of £600. However, the new owner will be in esteemed company, with other boxes owned by the rich and famous including The Royal Family. 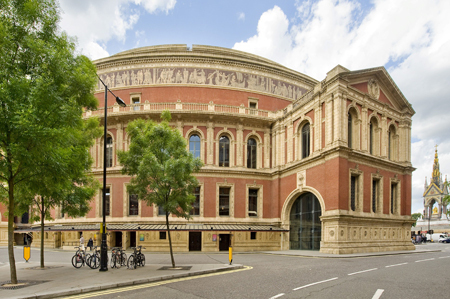 The Royal Albert Hall was opened in 1871 with private seats sold for £100 to help find the building process. Queen Victoria purchased 20 seats at the time, with the Queen’s Box, located on the Grand Tier, still in the possession of the monarchy. The five-seat box is one of around 1,300 seats – in boxes and the stalls – privately owned by individuals and companies. Shirley Humphrey, sales and marketing director for Harrods Estates, said: ”The boxes at the Royal Albert Hall are extremely rare and those with original features are even rarer so we anticipate a high level of interest.